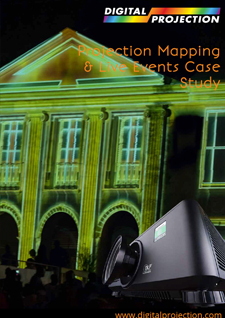 Creative Studio, a Guadeloupe-based event staging company, recently selected Digital Projection for their high brightness projector needs, ensuring its position as the first AV service provider capable of offering this type of projection in the French West Indies. 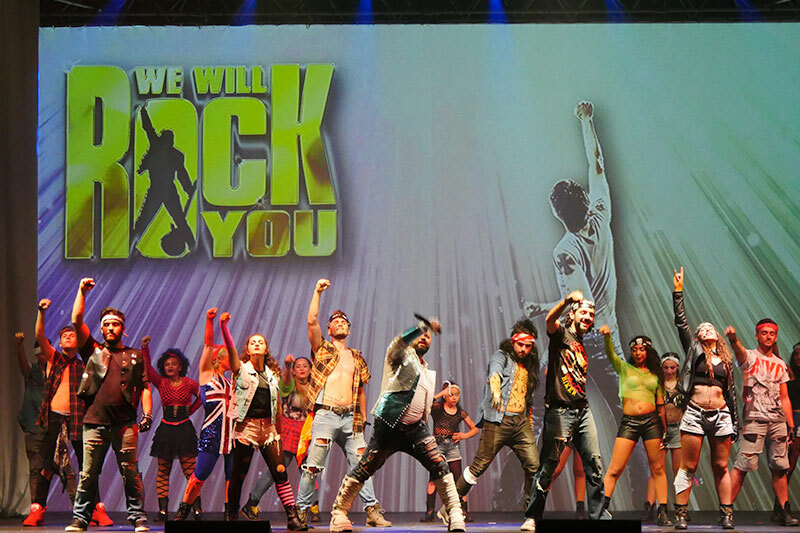 In partnership with Maxoloc, Creative Studio purchased four Digital Projection E-Vision Laser 10K projectors to answer the growing needs in visual solutions for rental staging shows as well as private and corporate events. With 35 years of experience in the audiovisual field, Franck Bessol, who founded Creative Studio in 2015, explains why he made the move to laser projection: “Video mapping was virtually nonexistent in Guadeloupe and Martinique, and I wanted to be the first to bring high brightness video projection to the island. “I immediately felt that Digital Projection was listening to us and understood our needs, even if we weren’t talking about a particularly big contract. The relationship with Stéphane Bourdon, my contact at Digital Projection, was also very good.” he adds. 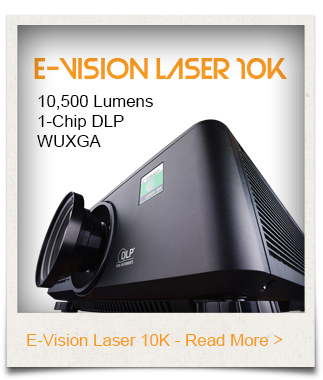 “We opted for four E-Vision laser 10K video projectors because of their brightness, compactness, and the fact that they are perfectly adapted to the local market: the price/quality ratio with this product is excellent and the embedded laser technology was an equally decisive criterion, since we don’t have to worry about replacing lamps anymore. Finally, the fact that laser projectors generate less heat than conventional projectors was also a key consideration for us as we work under very hot conditions. Creative Studio was impressed by the quality and low cost of ownership that the E-Vision Laser 10K brings. Boasting 9.500 ANSI lumens and a 10,000:1 Contrast, this WUXGA product from the Digital Projection Laser range offers high levels of flexibility thanks to its portrait and landscape modes and a DisplayPort 1.1a / HDBaseT connectivity. 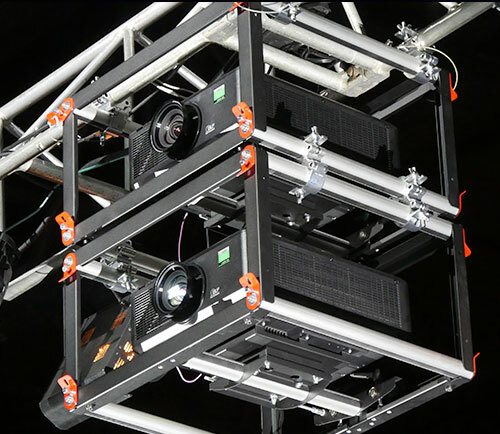 Before Creative Studio invested in Digital Projection, events using this type of projectors were extremely rare, since rental staging companies had to travel 7,000 km to rent products from France, which in turn increased production costs and logistics requirements significantly. Since the purchase, Creative Studio has experienced a steady success and today, is the only company capable of offering this type of equipment in the region. Creative Studio quickly took advantage of its investment, using the Digital Projection Laser Projectors for various concerts and musicals (including Romeo and Juliet, The Lion King, Aladdin and Madiba), as the company is the exclusive technical provider of the 3,000 people capacity Palais des sports du Gosier. 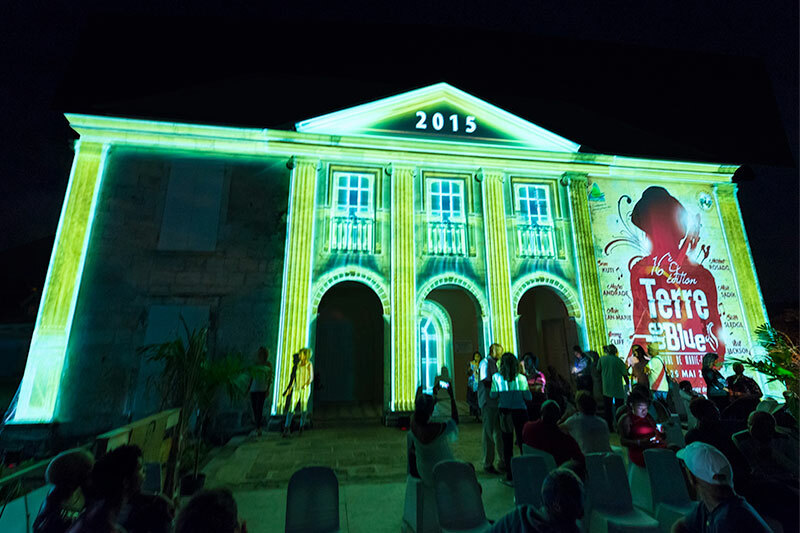 The company also performed an impressive video mapping on the Murat building in Marie Galante during the Festival Terre de Blues, for the island municipalities and Orange, the official sponsor of the Festival. After pioneering professional lighting and audio services in the French West Indies, Creative Studio further increases its expertise, creating the need for and stimulating the local AV market. “We didn’t just buy video projectors from Digital Projection, but invested in a whole package of solutions that allow us to offer a complete offering: flight cases, connectors, cabling, trussing, as well as 14 Digital Projection’s zoom lenses that allow us to project from anywhere and on any surface.” explains Franck Bessol. 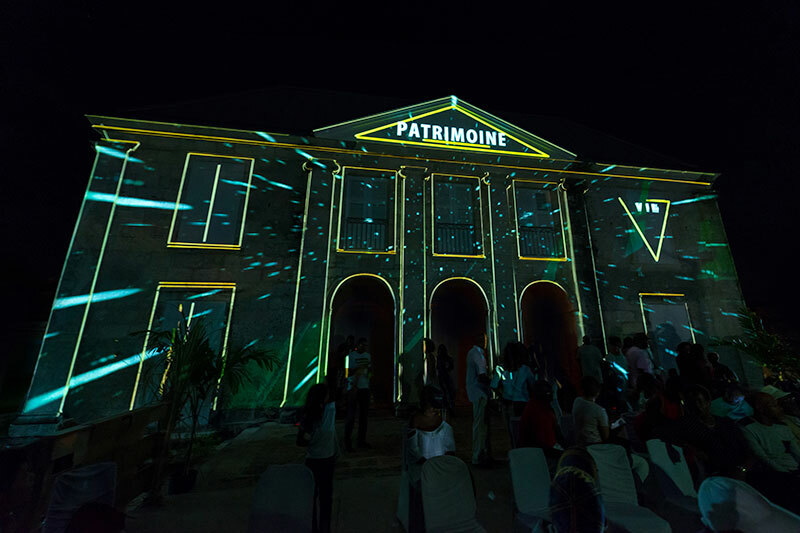 With such a rich cultural heritage, the French West Indies offer an ideal environment for video mapping, and the Digital Projection projectors helps Creative Studio to free themselves from the usual 3m x 2m image framework: recently, they successfully deployed its projectors to create an impressive 10m x 8m projection, a first for the company. This visual arsenal gives Creative Studio the opportunity to work closely with other providers who have similar needs in high power video projection and are now able to rent such equipment from them. 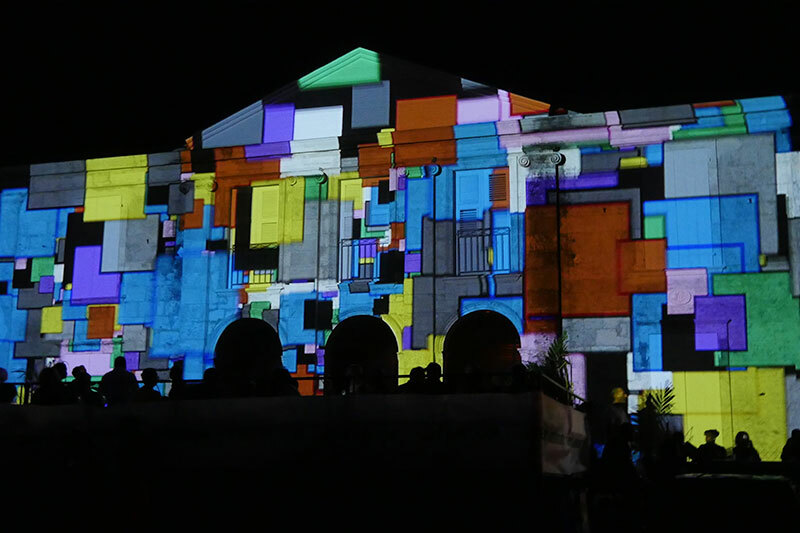 For instance, the E-Vision Laser projectors are currently used by Formule Teck in Martinique for a video mapping to celebrate the Fort de France Festival. The feedback that Creative Studio received from its clients is extremely positive, and is emulated in the region. The winter season is already a busy one for Creative Studio who will soon provide all technical requirements for the 100th anniversary of the industrial group Barbotteau, helped of course by its fleet of Digital Projection laser projectors.